All apartments are designed ‘upside-down’ so that lower levels can have an adjunct or commercial use with the living level in the modelled roof space. 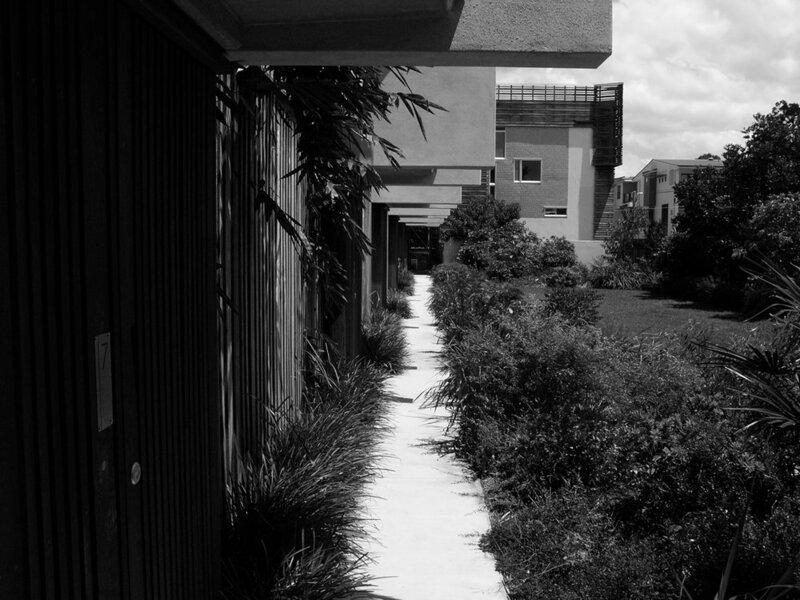 Street composition distributes public activity within apartments on the street edge. While the street edges of the scheme participate in the chaos of the locale and offer ‘fragments’ at a domestic scale, the inboard ‘utopic court’ contrasts in scale, character and order. Four apartment types emphasise potential for diverse co -location and flexibility in occupation, (acknowledging that the bulk of the Australian population is now classified as ‘non family’). Planning allows for share households, sub tenancies, home office or studio occupation.